This item includes 1 pack of 50 board game sleeves. Sleeves measure 44 x 68 mm (1 11/16 x 2 5/8 inches). 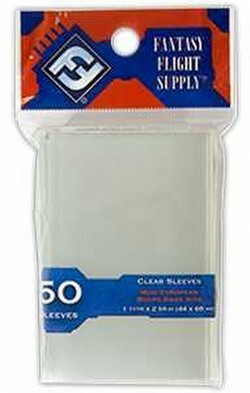 These sleeves fit cards from board games such as Wings of War, Ticket to Ride, Pirates Cove, Thurn & Taxis, El Grande, and others.